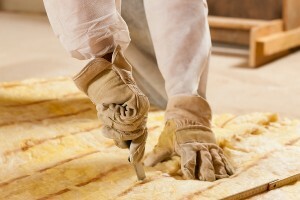 When you need a trusted source for attic insulation in Oklahoma City, Oklahoma, turn to the experts at 31-W Insulation. Since we opened our doors in 1972, we’ve been the go-to company for exceptional insulation products and installation services you can trust to deliver money saving benefits. That’s because having adequate insulation that has been properly installed in your home, especially in your attic, can result in a significant reduction in energy consumption – which often goes hand-in-hand with reduced energy bills. A highly trained 31-W Insulation professional will come to your home and provide you with a free, no-obligation inspection of your attic insulation. This expert will give you valuable information on the state of the insulation and, taking into account your budget and your energy efficiency requirements, make recommendations. If you choose to put our experience and expertise to work in your attic, we will send our technicians to install your new attic insulation oftentimes in as little as one day, so you can begin saving money almost immediately. Our courteous technicians will clean up any mess they make, leaving you with just the insulation that can help you achieve your energy efficiency goals. Additionally, not only will you likely find a reduction in your energy bills, you may also discover that your HVAC unit will last longer, as it won’t have to work constantly to keep your home at optimal temperatures. For more information about the outstanding attic insulation products and installation services we offer to homeowners in Oklahoma City, OK, and surrounding areas, contact 31-W Insulation today.